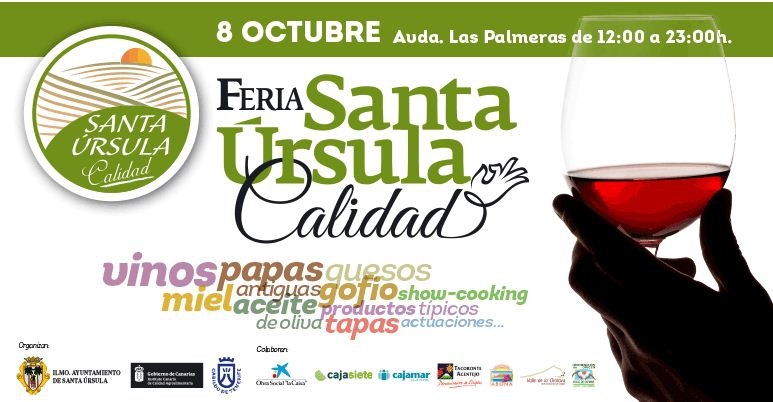 Santa Úrsula Calidad is a food and wine fair which showcases the best of Canarian products including award winning cheeses, gofio, oil, potatoes, honey and wine. Visitors to the fair will be able to sample tasty products from all over the island as well as enjoying delicious tapas from local restaurants, enjoying a cooking show, and live music. The fair works on a ticket basis where you buy tickets seperately and swap them for wine and food.